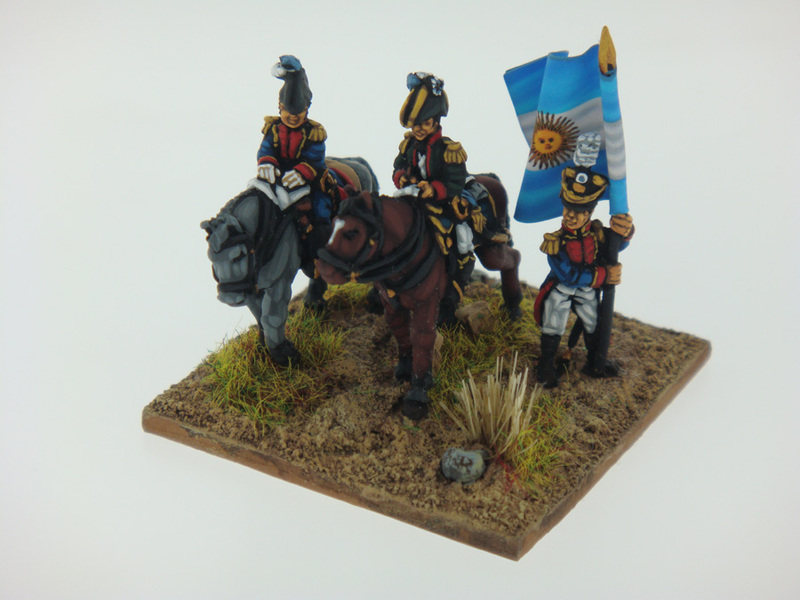 Argentina Infantry (Battalion Command) [AI-03] - $7.20 : Grenadier Productions,, Home of Liberators! 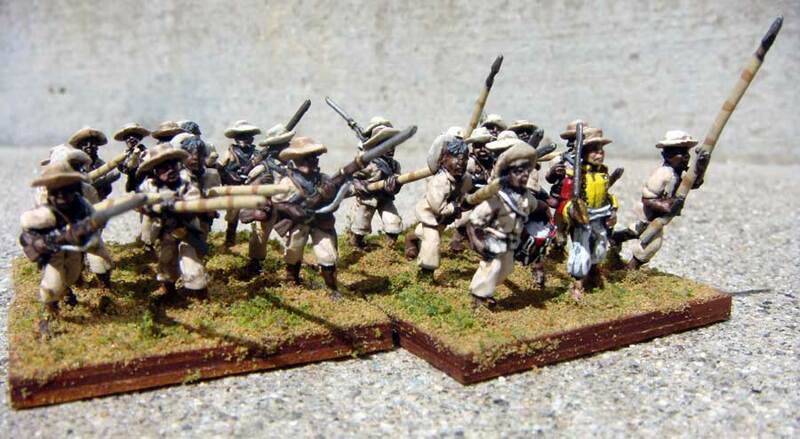 12 figures; 2 Colonels, 2 Flag Ensigns, 2 drummers, 6 fusileros. 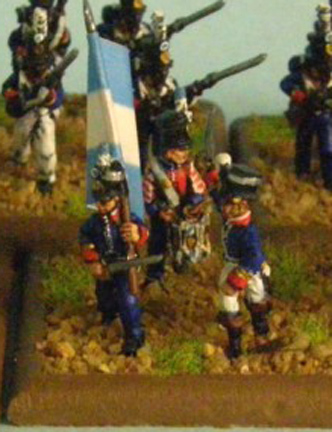 2 poses each for the Colonels, Flag Ensigns and drummers. 4 poses for the fusileros. 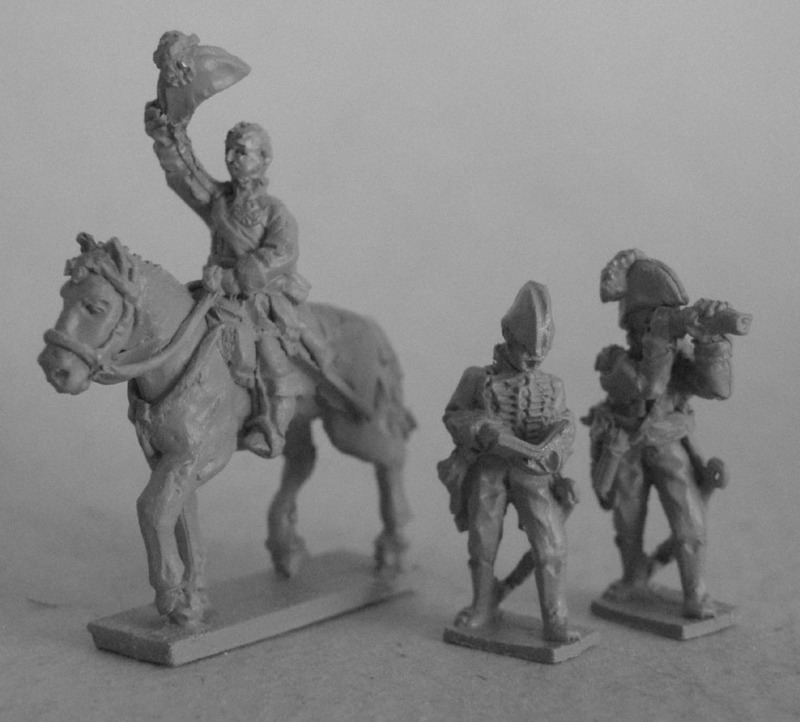 Use these figures to build the "command stands" of your battalions. 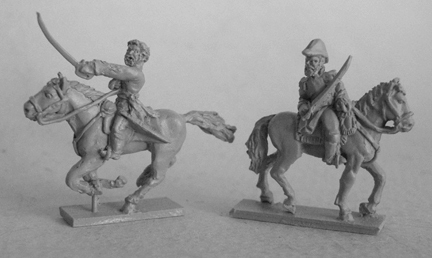 Each pack contains enough figures for 2 battalions so plan accordingly.